A systemic strobilurin fungicide for the control of Fusarium patch, Take-all patch, Brown patch, Leaf spot/Melting out, Rust diseases and Anthracnose. FOR USE ONLY AS AN HORTICULTURAL FUNGICIDE ON ESTABLISHED MANAGED AMENITY TURF AND AMENITY GRASSLAND. Heritage Maxx is a high performance fungicide. 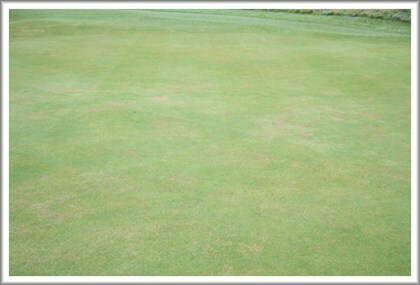 The easy-to-use Maxx liquid formulation gives faster uptake, longer lasting disease control and improved turf quality. For use on established managed amenity turf and amenity grassland. Wear suitable protective gloves. Wash hands before eating and drinking after work. Consult and comply with the recommendations of the partner products. Each product should be added separately to the bulk of the water in the spray tank and thoroughly mixed before adding the next chemical. Ensure sprayer is clean and set to give the correct volume and an even deposit. Half fill spray tank with clean water and begin agitation. Add the required quantity of Heritage Maxx and complete filling. Continue agitation until spraying is completed. Do not apply when the ground is frozen or during drought.